I had some time today and I think I actually got it working (under Win 7 x64). I did NOT install Mitchell Manager (floppies, etc.) 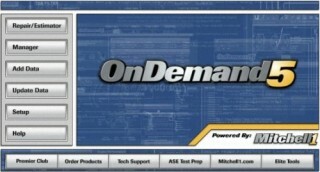 - I only installed Mitchell OnDemand (Repair & Estimator). The solution requires the cracked exe file that was not provided and does not need the keygen nor the 1006 or 1005/1007 fixes (although I did install the fixes at one point prior to the working install). I do not have any hosting service accounts to post the cracked exe - it is small though (381 KB, about 1/3 of the original size of 1157 KB). 1. Uninstall any non-working installation via the Control Panel 'Programs and Features' and locate OnDemand. 2. After uninstalling, delete any remnants that remain by deleting the C:\Mitchell1 directory. 3. Change date to 9-17-2014 as described in original readme and reinstall program. 4. When you get to the InstallShield Wizard Complete screen, click the ‘Finish’ AND EXIT THE PROGRAM. 5. Go to the installation directory (C:\Mitchell1\OnDemand5\) and rename the file OD5.exe to ~OD5.exe . 6. 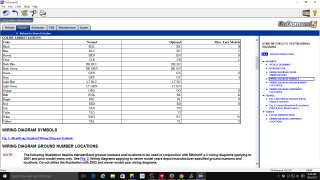 Copy the cracked OD5.exe file to the installation directory (C:\Mitchell1\OnDemand5\). 7. Execute the OD5.exe application in the installation directory (C:\Mitchell1\OnDemand5\) or double click the ‘OnDemand5’ icon that was installed on your desktop. 8. Click on the ‘Add Data’ button as you would have before. 9. Block the program using the hosts file entries of the original readme file. 11. Change the system date back. GeekDad, proud to be a member of GarageForum since Oct 2016. (11-06-2016 07:19 PM)GeekDad Wrote: Ok. Thanks for your clear explanation. Where did you get your cracked .exe file? I too would like to know where to get the cracked exe from as this seems to be the missing link. unfortunately you have to download the whole package (almost 3 Gigs). It would be great if someone who downloads the whole package could post just the cracked exe for others. I don't have any hosting accounts. could somebody upload the file repair_21.rar part 1 to rapidgator,thank you? deper, proud to be a member of GarageForum since Nov 2016. OK I'll make a link to the torrent that has the cracked EXE but if you are to use and manager it will not work right. http://rapidgator.net/file/1e20365584575...1.rar.html on rapidgator. File not found! Thank you! 001svarela, proud to be a member of GarageForum since Jan 2017. I hope you're still around as I think i'll ask you if you can help me install it through teamviewer! thanks so much, i really hope this works! binoo, proud to be a member of GarageForum since Jan 2017.
can anyone seed this ? this is going terribly slow.. please seed! Current time: 04-26-2019, 05:47 AM Powered By MyBB, © 2002-2019 MyBB Group. Theme created by Justin S.